This year will see a TON of new zines going up for sale starting with the official online release of Stories From The Borderland I on FRIDAY JANUARY 26th 11AM EST!! 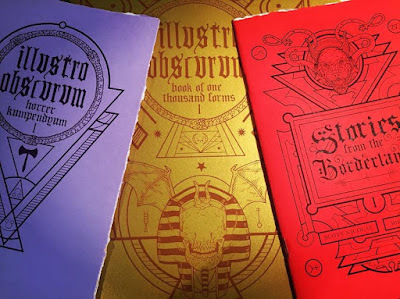 This zine was previously only available at NecronomiCon 2017 or as part of a triple pack. It features the first 5 entries into the Stories From the Borderlands project (essays by Scott Nicolay, illustrations by me and edited by Anya Martin). 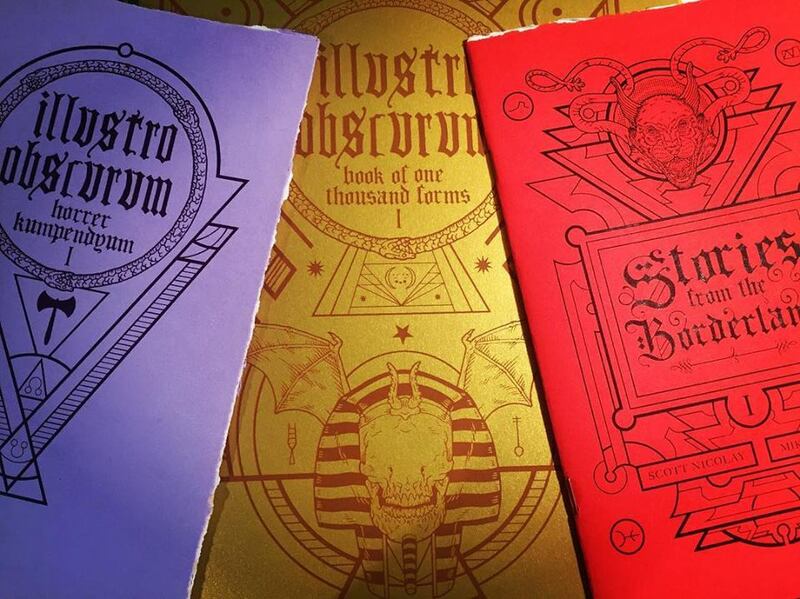 I'll also be reprinting Illustro Obscurum Collection I & II as well as Book Of One Thousand Forms I.